Emma was unloved from the moment she was born. Her earliest memory is being severely beaten by her father, Pepper Murphy, when she was just eight-years-old. Seething with resentment over the sacrifice of his dreams for a woman he cares little about and children he never wanted, Pepper chooses to blame his older daughter. 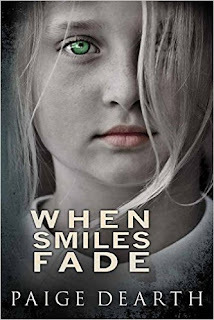 Her mother, Valerie, makes matters worse with her verbal abuse, leaving Emma isolated with a man that had no boundaries in punishing his daughter, taking his abuse to unimaginable levels. This is the third book I have read by this fabulous author. 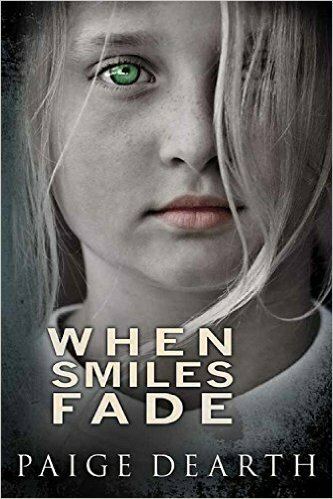 Meet Emma a young girl who is unloved and unwanted by her father and mother. She is beaten on a daily basis by her father. She protects her sister until the day that they can't take it any more and takes off. They are onto to a better life but with lots of twists and turns , she faces all her challenges head on and creates a life for her and her sister. She is trapped again by a cruel boyfriend that does the unthinkable and when she thinks life is at it worse . A saviour steps in and saves her and her niece and shows Emma that there is a better life out there and sets her on the path of redemption. This book will break your heart . I have never cried so much in all of my reading . Paige is such a gritty realistic writer . Her stories will take you on an emotional rollercoaster ride. Her characters as so broken on the inside but they also have such a resilient heart and courage . Their stories so horrific but you know you will want to cheer for them and love them. The ugly truth comes to rear its ugly head in this book. Emma and Grace are the epitome of what child abuse is. Emma takes all the punishment that her father can dish to protect her sister. She will do anything to make sure that her sister is left alone. You see her change as the story continues , she changes from a victim to a fighter and boy does she fight . The you see her fall in love and get a better life that she is entitled to. Along the way she meets and falls in love with Salvatoire the son of a mafia crime boss . He shows her that everyone isn't as bad as she thinks they are . He gives her a better life and shows her what love is He is a type of man that no one can say no to . He has an air of confidence around him . But he also a man in love that also has a terrible secret that he is hiding. But together they are like any other couple and family. These characters actually make and appearance in the other books. There is a great cast of supporting characters that all come to help Emma.